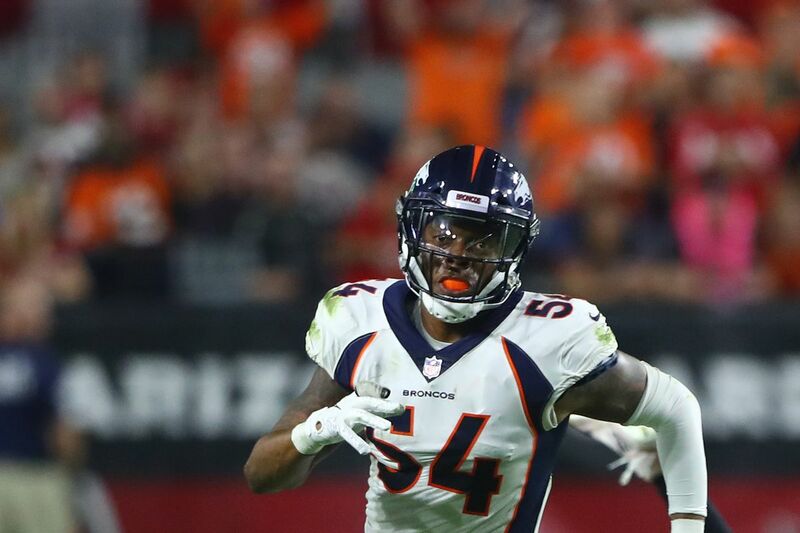 Denver Broncos linebacker Brandon Marshall will now be a free agent on March 13 after the team refused to exercise his option for 2019. According to ESPN’s Adam Schefter, the Denver Broncos have notified linebacker Brandon Marshall that they will not be exercising his contract option for 2019. The move will make Marshall a free agent in March. The move will free up $5M in salary cap for the Broncos, but also a $4M dead money hit. Marshall, 29, came to the Broncos in 2013 from the Jacksonville Jaguars practice squad and became a full-time starter in 2014. He was an integral part of that 2015 defensive unit that catapulted the franchise to their third Super Bowl title. While he was open to a contract restructuring that would keep him in Denver, the Broncos under Vic Fangio decided to go in another direction. As a free agent, Marshall is ready to focus on the future. The team told him that he has been a great Bronco, to which Marshall released a statement of appreciation for his time there. Marshall was one of four veteran Broncos players that have options. The other three, Chris Harris Jr., Derek Wolfe, and Emmanuel Sanders, all have options that must be picked up by March 13 or they will become free agents. Do you agree with this decision? How early should Denver look for an inside linebacker in this year’s draft? Report: Broncos will not meet Chris Harris’s contract demands A trade is likely coming. Horse Tracks: John Elway and Broncos reach contract impasse with Chris Harris Jr. Yesterday afternoon, Denver Broncos General Manager John Elway stated he "didn’t have time" to address a revised contract for star cornerback Chris Harris Jr. Several hours later, the All-Pro defensive back fired back with a simple demand — pay me or trade me. This Article has a component height of 9. The sidebar size is short. Partially Degraded Service Check out our status page for more details.